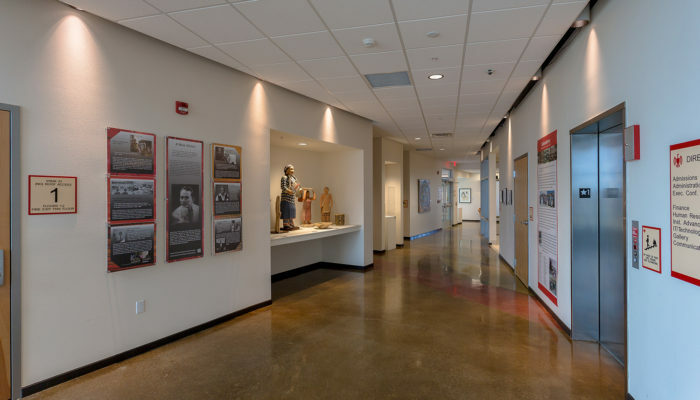 The preservation of important cultural artifacts, whether on display in a museum or carefully stored away in an archive or repository, begins with the special design considerations of an architect. Even the slightest error in building performance can compromise collections; leading to damage that is often irreversible. 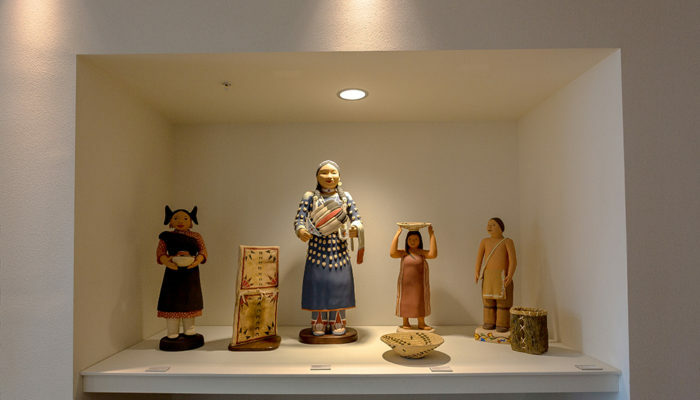 Artwork displayed at the Institute of American Indian Arts campus. 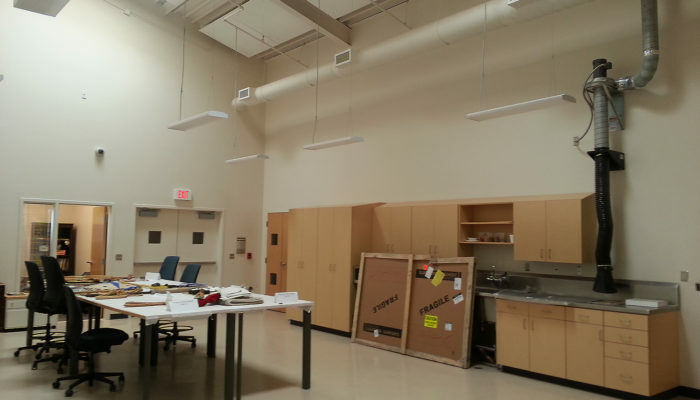 Proper lighting can have a significant impact on the condition of artifacts. Prolonged exposure to lighting can cause cumulative and irreversible damage; textiles may weaken or fade, paint and dye colors may change, and paper or similar thin materials may bleach or darken, or weaken and crack. Ideally, stored artifacts should be kept in the dark as often as possible. When removed from storage for study, cleaning, or prep for display, items should be viewed in filtered light. UV light, from both fluorescent lamps and natural daylight, are the most harmful. 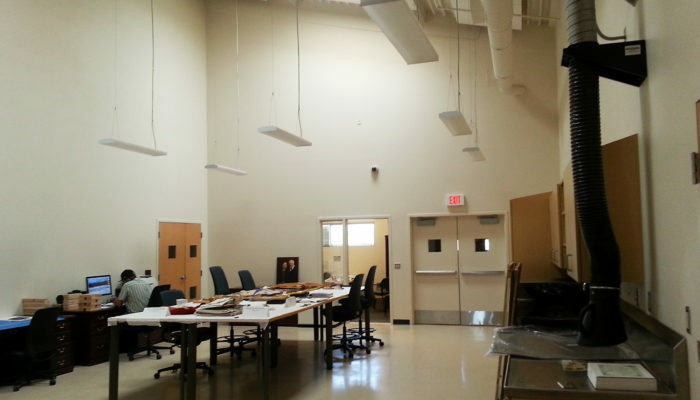 The Dine' College Archive Center stores, processes and archives Dine' cultural and historic artifacts and documents. Creating an ideal climate for artifact storage is immensely complex. Fluctuating temperatures and humidity levels cause organic materials to warp, break, or grow mold; thus, a reliable HVAC system is critical to preservation. Staging of storage within a regulated environment is also important. Items stored along exterior walls are more susceptible to changes in humidity and temperature. 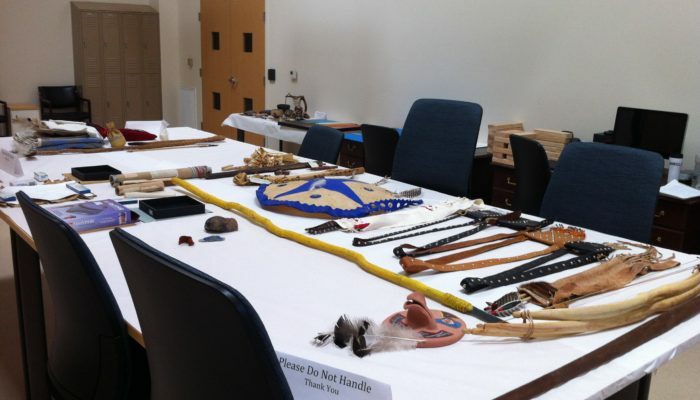 Prepared artifacts at the Dine' College Archive Center in Tsaile, Arizona. 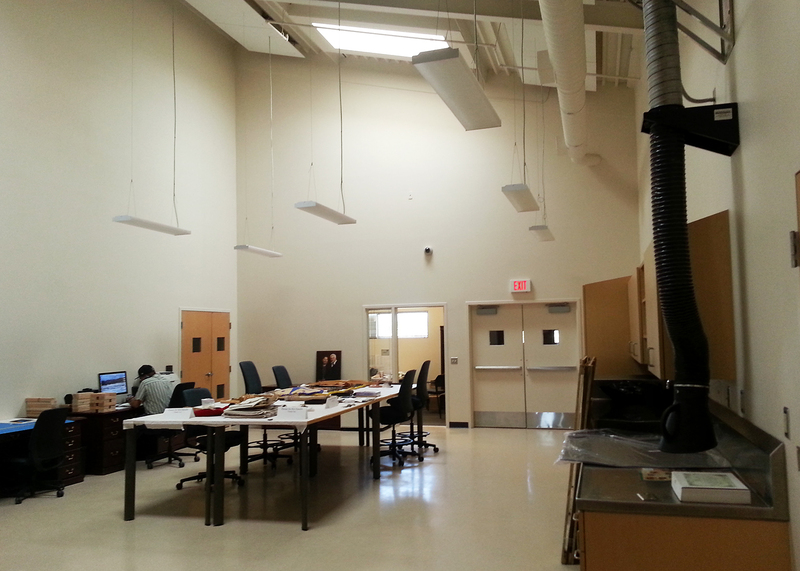 Similar to climate control, air quality must be strictly regulated in archival facilities. Both particulate and gaseous air pollutants can cause significant damage to stored artifacts. Again, a reliable HVAC system, as well as proper staging of storage rooms, cleaning supplies, and offices mitigates the possibility of collections contamination. We carefully select construction materials, such as paints, sealants and adhesives to minimize harsh chemical effects within artifact storage space. Work space at the Dine' College Archive Center. Careful planning for access and security minimizes threats of contamination, loss, theft, and vandalism. Access points to artifact storage and displayed collections can be restricted and compartmentalized. Fire suppression is also an important component for museum and archival collections. Gallery and display space incorporated into the design of the IAIA Lloyd Kiva New Welcome Center.